Some of the most memorable tracks are born out of failure. DJ Pierre’s lucky 303 accident springs to mind, or Luciano’s classic “Orange Mistake”, which originated in a LFO filter malfunctioning. 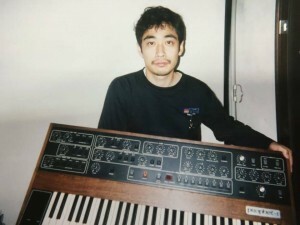 And the charmingly highpitched melody of “Do It Again” – a track we discovered through the Claremont 56 “Originals” compilation by Lexx – also came into being by a twist of fate: A midi channel was incorrectly assigned, young Shinichiro Yokota then fleshed out one of the most idiosyncratic house tracks of all time. That was 25 years ago. Rush Hour just re-released the Hunee-sponsored compilation “Soichi Terada presents Sounds from the Far East”, also spotlighting a couple of tracks the Terada apprentice Yokota produced. In this Q+A (the first ever published in English), Yokota (46) talks Yellow Magic Orchestra, Lil Louis and the lost charm of making house the old way. Shinichiro, how are you these days? Thank you, I’m feeling pretty good! Since 1990, my business has been about fabricating rare car-parts. Also, I’m doing some paper craft and you can buy my magnet-syntesizers. What got you originally interested in club music in the late 80s? In 1983, I began discovering hip-hop through the midnight radio programme. That was after the unraveling of Yellow Magic Orchestra, which was my favourite band. The way these rap tracks were fashioned, that rude way of sampling inspired me to make my own tracks. House music was next, but it was really difficult to meet kindred spirits, because HI-NRG was very much the dominant style back then in Tokyo. But there was no real house scene. Also, you could say, I was always more of an indoorsy kind of house guy. Not much of a clubber. Who influenced you as a producer? Haruomi Hosono (of Yellow Magic Orchestra) was very important. I started listening to Yellow Magic Orchestra and Ryuichi Sakamoto when I was ten years old. From 1985 to 1995, hip hop artists from Sugar Hill Records, Def Jam Recordings and Tommy Boy Records captured my heart. And as a house producer, I was hugely impressed by the stuff Lil Louis was doing. You collaborated with Soichi Terada, the man behind Far East Recording. How did you two meet? 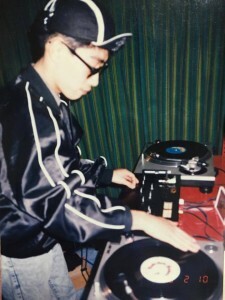 I met Soichi Terada during a DJ competition in 1987, where I actually won a prize. Soichi introduced me to house music. And he introduced me to synthesizers, too: he let me use his gear in my free time. Yes, Soichi Terada was my musical teacher. What gear where you using on tracks such as “Do It Again”? I made the song “Do It Again” with an AKAI S1000, a Roland D-70, KORG M1 and a Japanese personal computer common back then. The melody originated from a mistake that resulted from an incorrectly assigned midi channel. Which I then edited into the track it now is. On your mix for Roof.fm, the track “1941” (playing at 48 mins) stands out from your other stuff, with it’s kind of flangy, dubby, breaky, Manuel Göttsching-esque groove. What’s the story here? Yes, it’s true that this one is quite unique. I did the basic setup and sampling, then Soichi Terada added more flavour to it. How I remember it, we completed dub mixing it with a 24 channel analog mixer, twiddling each channel live. Do you still produce house music these days? I am still making music in my spare time, though not particularly house music. Let’s say that in the last two decades I had no opportunity to present my work. Personally, I feel that the original charm is kind of lost nowadays, with DAWs making looping so easy. I found it so much more fun to play with a hardware sampler that had a very tight memory limit. Yeah, it was great, back in those days. So much more fun!